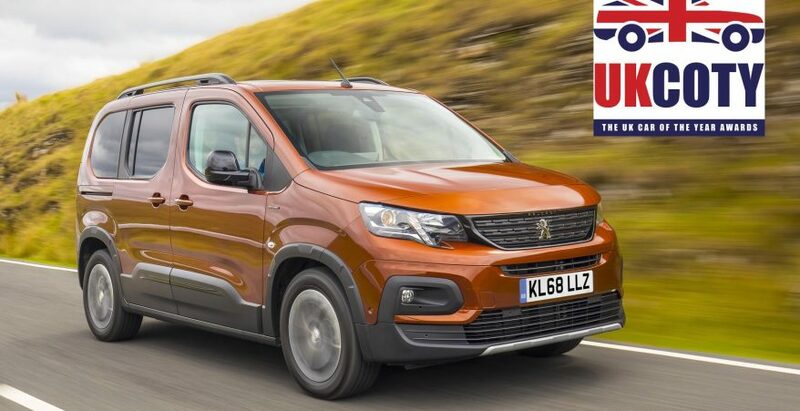 New PEUGEOT Rifter has been named best MPV at the UK Car of the Year Awards 2019. And as a top MPV, the advanced machine will go up against other category winners for the overall UK Ca of the Year prize. All-new PEUGEOT Rifter shone above the competition and managed to deal with mighty rivals, one of which was Volkswagen Tiguan Allspace. Launched in 2018, new Rifter offers style and practicality in the MPV sector by blending PEUGEOT’s notable design language philosophy with innovative technologies. Such include brand’s signature i-Cockpit, outstanding interior design and massive carrying capacity. 2018 Rifter can be specified with 5-seat configuration or with the special Long version with a total of 7 seats. Sweet! UK Car of the Year Awards jury consists of 29 leading automotive journalists across the UK, including experts from Top Gear, Car and the Daily Telegraph. Each judge selects a certain vehicle from 12 categories, before deciding the overall winner in each class. Testing is held today at the Caffeine & Machine in Stratford-upon-Avon and the overall winner will be announced on Friday, 1st of March.